Our most recent client was looking for a bespoke tv unit that would make a statement in their quirky home. After taking a look at our new showroom and seeing our previous work, our lovely clients came to see us here at Furniche for their free consultation. 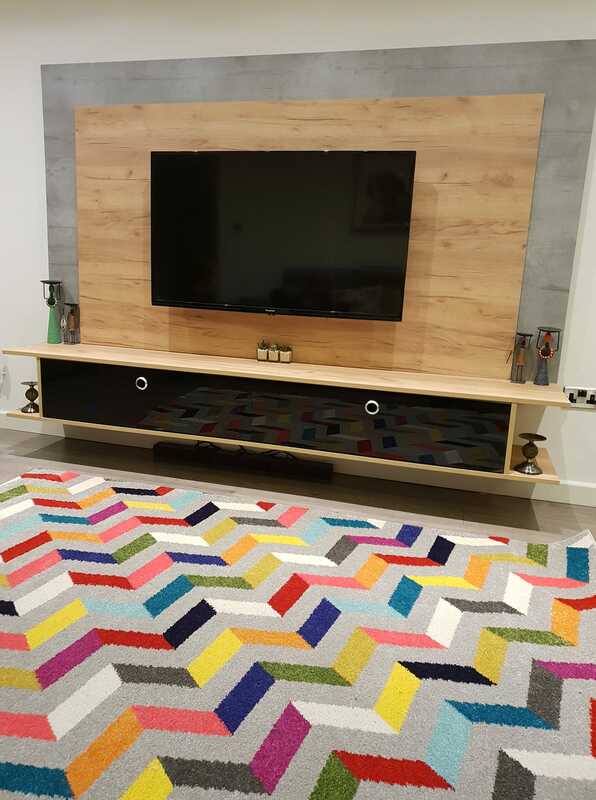 They had taken measurements before coming in to see us, which allowed us to create them the most perfect TV unit. We discussed the range of colours and finishes they could choose from which then lead them on to choose the Boston Concrete back and a Halifax Oak finish at the front. The unit is a 2.4 meter wide by 2 meters tall which covered the majority of the wall. They also decided to go with storage units with a Beam Thru black glass which still enables all of their remotes to work with all of their devices. 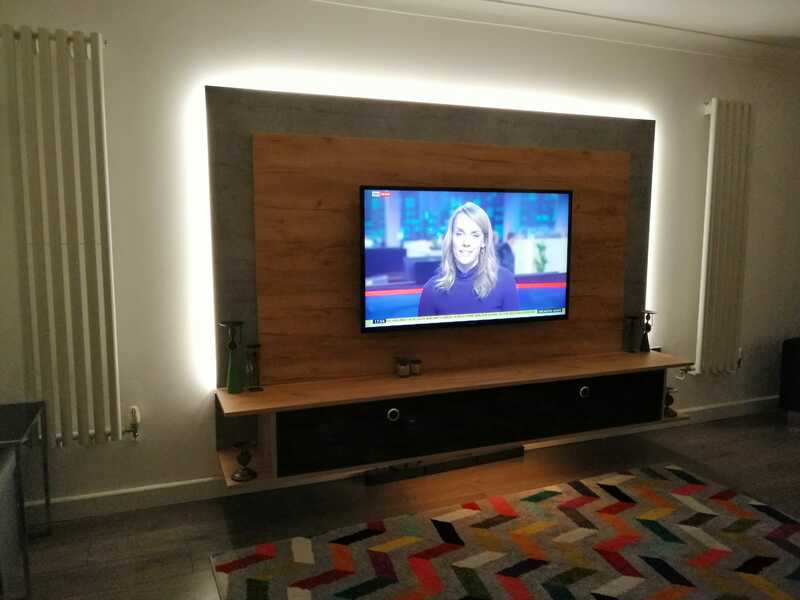 It has been an absolute pleasure to work with Furniche, the design process was so seamless and easy and the finished product with the grey oak looks great with the Halifax oak. We are over the moon!